and the info goes straight into RainMaker, immediately. Fitness & Martial Arts Business Software that connects your website to you business systems. 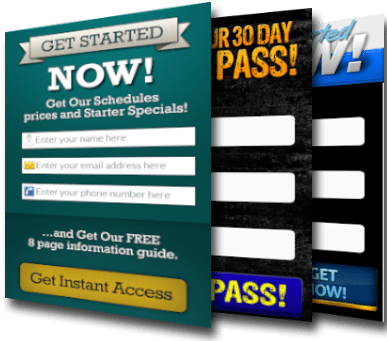 Your leads, prospects, and contacts will automatically be entered directly into your system. Embed your schedule so people can set up their first session and even customize your low barrier offers and trials so that everything has the same look and feel of your site and landing pages. Website integration is vital. Keeping a consistent look and feel across all of your marketing assets such as email, purchase pages, and more is so important and we've built it right into RainMaker so it's easy for you. Connect directly to your website and keep the same look and feel across all your marketing channels. Get More Done In Less Time...Guaranteed.